Expedia can help you save loads with a Talloires vacation package. 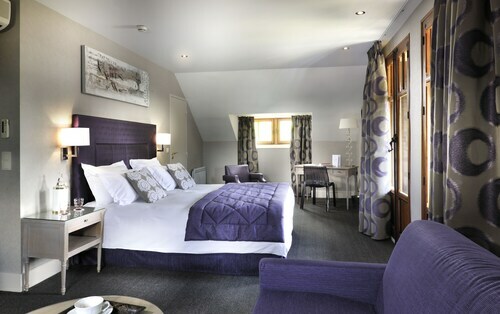 With all that extra money in the bank, you might even like to book a few additional nights. Savvy vacationers who book a package deal on Expedia can save up to C$590*. With more than 400 partner airlines and 321,000 properties to mix and match from on our universal database, you won't have any problems organizing your ideal vacation. Itinerary looking a little thin? Talloires vacation all arranged but unsure what you're going to do when you reach there? Let us make it easy. Are you eager to see a few of the best local sights? Menthon Castle alone is enough reason to note this town on the top of your travel wish list. Take your getaway to breathtaking new heights with an excursion up La Tournette. As you trudge to the top, don't forget to stop for a few moments and soak up the splendid views. Visitors have an abundance of choice in and around this destination. If you'd like to bump some strokes off your game, then head over to Lake Annecy Golf Course. Grab some clubs, hone your swing and talk to the locals at the 19th hole. Still have some time to spare? Slip into your khakis and grab your favorite putter. If you're desperate to head outdoors for a day on the fairways, reserve a tee time at Giez-Lac d'Annecy Golf. With as many as 20 accommodations in Talloires, hunting for a place to kick your feet up won't be a problem. But why waste time? Book now via Expedia and kick off your next luxury getaway or cheap vacation. Kick off the quest for a luxurious Talloires base by checking out the amenities and rates at the L'Impérial Palace (Allée de L'Impérial) and the L Abbaye De Talloires (Chemin Des Moines). 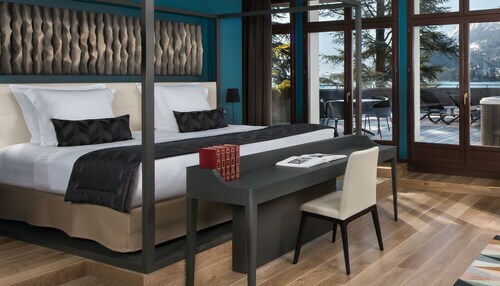 If bargain traveling's more your style, you (and your wallet) might like the Les Acacias Bellevue (14, Route Annecy), or the Inter-Hotel de Genève (34 Rue De La Republique). Pass through the security gate, board the plane, put your bags in the overhead locker and make yourself comfortable! Your exciting trip to Talloires isn't far off now. After the wheels touch the ground at Cointrin International Airport (GVA), you'll be 30 miles (48 km) from the happening main streets. 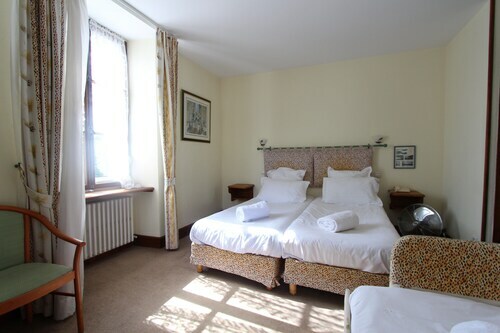 This family-friendly Talloires-Montmin hotel is located in the historical district, within 1 mi (2 km) of Les Passagers du Vent and Lake Annecy. Lake Annecy Golf Course and Menthon Castle are also within 3 mi (5 km). 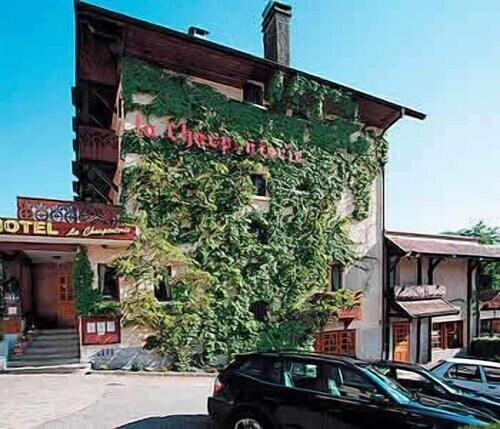 Situated in Talloires-Montmin, this hotel is within 1 mi (2 km) of Les Passagers du Vent and Lake Annecy. Lake Annecy Golf Course and Menthon Castle are also within 3 mi (5 km). 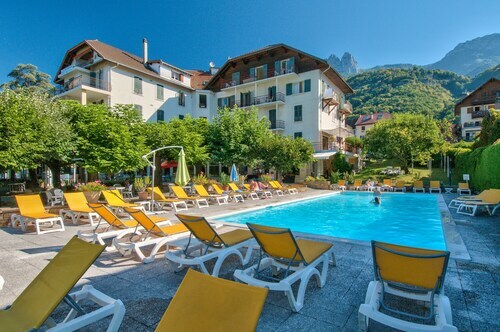 Situated in Talloires-Montmin, this apartment building is within 1 mi (2 km) of Lake Annecy Golf Course and Lake Annecy. Les Passagers du Vent and Menthon Castle are also within 2 mi (3 km). Situated in Talloires-Montmin, this golf hotel is within 1 mi (2 km) of Les Passagers du Vent and Lake Annecy. Lake Annecy Golf Course and Menthon Castle are also within 3 mi (5 km). Situated in Talloires-Montmin, this spa bed & breakfast is within 1 mi (2 km) of Les Passagers du Vent and Lake Annecy. Lake Annecy Golf Course and Menthon Castle are also within 2 mi (3 km). Situated on a lake, this luxury hotel is within 1 mi (2 km) of Les Passagers du Vent and Lake Annecy. Lake Annecy Golf Course and Menthon Castle are also within 3 mi (5 km). 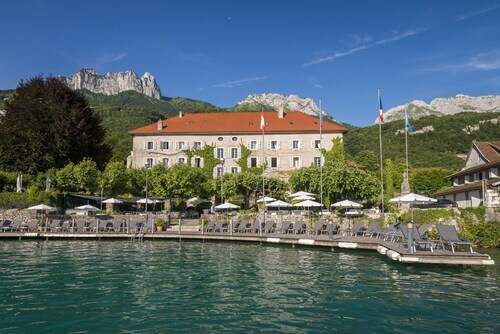 Situated on a lake, this hotel is within 1 mi (2 km) of Les Passagers du Vent and Lake Annecy. Lake Annecy Golf Course and Menthon Castle are also within 3 mi (5 km). Sun., 16 Jun. - Thu., 19 Sep.